Lori Allen is an American television star, who is famous for ‘Say yes to the Dress: Atlanta’. She currently, working a show named ‘Say Yes to the Dress: Bridesmaids’. Additionally, Lori is also the owner of a boutique, ‘Bridals by Lori’. he is happily married and mother of two children.In 2012, Lori has been able to survive from breast cancer. 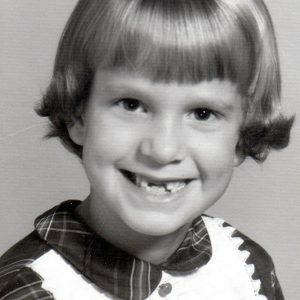 Born as Lori Burns Allen was born on August 11, 1959, in Georgia, United States. She was raised in Atlanta by her family and growing up there, she attended the local school for primary education. Then, went to attend Columbia College, Carolina, where she completed her graduation with the degree in business. After her graduation, she turned to her hometown and opened a boutique, "Bridals by Lori" on December 27, 1980. After a year later it became one of the largest bridal boutiques in the United States. As it has been increased in a large area of 25,000 square foot. Besides that, she began to work in fashion design competitions as an expert. After creating her boutique 30th anniversary, she was listed as the presenter of the show " Say Yes To Dress: Atlanta". After she won the battle with cancer, she hosted a show ‘Say Yes to the Cure: Lori’s Fight ‘. As her first show Say Yes To Dress: Atlanta aired and gained enormous success, Lori came up with another show Say Yes to the Dress: Atlanta July 8, 2011. As of now, Lori is a famous name in the fashion industry as well as an active philanthropist. Currently, she is focusing on her business. Apart from her business, she has also appeared on various charity programs and donated for the charity shows. Lori is a married woman. She married her college sweetheart Eddie Allen in 1979. As a loving spouse, the two has been blessed with two children a son named Cory, and daughter Mollie Allen. Lori’s eldest son Cory is a married to a girl named Rebecca also known by the name Becca on December of 2016. Lori Allen got a call on April 2012 and that one call changed her life as it said that she had breast cancer. But she survived the disease and is now active in her business. After her recovery, she didn’t just keep all by herself but she has used it as a platform to inspire and help other women with the disease. According to the American Cancer Society, one in eight women will develop breast cancer during her lifetime. It is the most basic cancer among American women, except for skin cancers. About 39,510 women will die from the breast cancer this year. Allen shared with ABC News. Moreover, she also approached TLC, which produces her show, and offered to tell her personal story. We really appreciate the movements of Lori Allen. From the television shows to her own boutiques, she has received a huge amount of money. Her famous show Say Yes to the Dress: Atlanta got massive success and entered into many nominations. She also reached the final of fourth annual TASTE AWARDS. In the sixth annual TASTE AWARDS, the show was named the ‘Best Fashion or Design Program: Television’ in 2015. Her estimated net worth to be around million however she has not revealed her estimated net worth.